​The focus of this research revolved around student agency, what it means, how to impr0ve it, and the importance it has. Educators across America are under a great deal of pressure to produce students who are critical thinkers capable of working and thriving in diverse and highly competitive environments, all while applying knowledge of 21st century skills. A major obstacle in achieving this is a lack of student agency,or desire and responsibility of students to take control of their own learning. 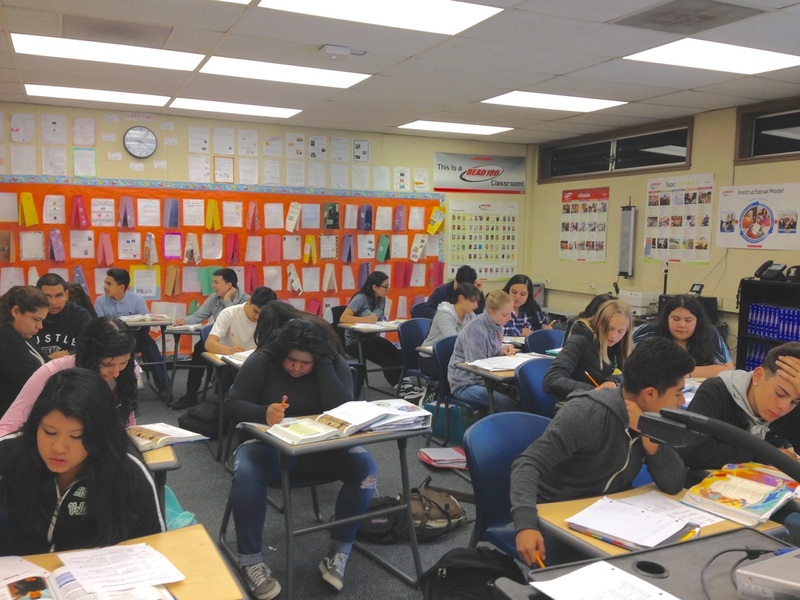 This study focuses on 9th-10th grade English classes at Calistoga Junior/Senior High School, asking: what can teachers do to promote an increased sense of student agency? It examines the impact of student voice and choice and educational technology in raising the levels of engagement, motivation, and learning. This study incorporates student opinions about their learning and pre/post treatment scores. The findings suggest that when students are allowed to have input into what they study in school, they feel connected and more interested. Additionally, technology integration contributes to personalization and differentiation, which targets students’ weak areas. The need to instill and encourage a sense of student agency in America is necessary not only for the good of the individual student, but for our nation as a whole. If we are to compete in the global market, our citizens must possess the drive and talent to rival our international competitors, whose education systems have surpassed our own. In addition to the networks being created on a national level, states, too, have begun putting together teams of superintendents, educators, business leaders, parents, and community members to draft initiatives aimed at improving student success. Shortly after national changes began to occur, the California Department of Education announced that State Superintendent of Public Instruction Tom Torlakson launched the creation of a 59-member committee called a Transition Advisory Team, whose goals include building community partnerships to support students and their families, improving teacher education and preparedness, and focusing on standards and curriculum that meet the demands of 21st century learning. The document detailing the initiative is entitled A Blueprint for Great Schools, and according to Linda Darling-Hammond, the committee’s co-chair, the initiative would accomplish its goals by investing in quality teaching and creating a system that meets the demands of 21st century learning with forward-looking standards, curriculum, and assessments that ensure students are college and career ready (2011). It is clear that leaders in education and policy makers agree that technology is both an integral skill for 21st century learning and engagement piece for students, prompting districts throughout the state to follow suit, implementing their own plans to incorporate and even expand its use in the classroom. One such district, Calistoga Joint Unified School District, composed of three schools totaling approximately 850 students, began its work to align with California’s changing educational standards in July, 2009, setting district-wide yearly goals through 2014. Among the goals in its Education Technology Plan was using technology to improve both teaching and learning, requiring that 60% of teachers would use technology regularly in their classrooms, with the expectation that by 2014, 80% would do so. In 2012, the district provided interested teachers training in Project-Based Learning, which was facilitated by the Buck Institute. By the end of that year, those who participated were required to implement one project by the end of the academic school year. The following year, any teacher who had not yet been trained in PBL was trained. In addition to integrating technology into teaching, the district also began to require that teachers participate in on-line grade reporting and assessment results via PowerSchool and Online Assessment Reporting System (OARS). Continuing to provide opportunities for students to engage, take responsibility, and demonstrate their learning of 21st century skills, at the junior/senior high school within the district, all students have been set up with Gmail accounts that are specifically for academic use. They have also begun utilizing Google features such as Drive, Docs, Spreadsheet, and Presentation across subject matter. These tools, along with computer access, allow for ease in asking students to work collaboratively. 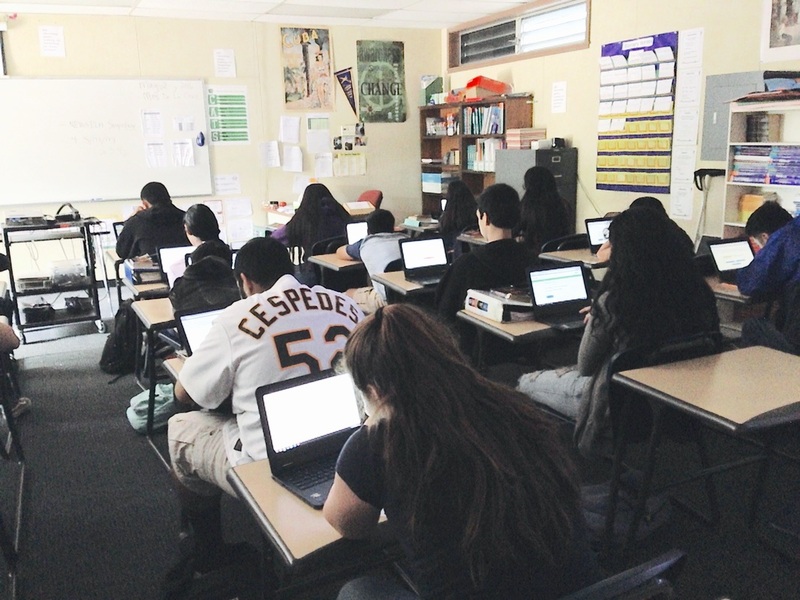 Continuing to improve its technology infrastructure and access, in 2012 this site began its first phase of a 1:1 device rollout, sponsored in great part by Napa Learns, and by 2014 this goal was accomplished, putting portable technology carts in every classroom. Administrators set a site goal for all teachers to implement Project-Based Learning once each semester in the 2014-2015 school year. Aside from teacher-created projects incorporating technology, many online programs and software were also added to engage students across subject matter. Underperforming students in English Language Arts classes were identified using a Scholastic Reading Inventory lexile test and placed in a reading intervention program called READ 180. Here, small groups of students rotate around three different stations: small group, independent reading, and software. During independent reading, students choose their own novel based on their lexile level. The software rotation is designed to improve upon their vocabulary, spelling, reading comprehension, and fluency, as well as some writing tasks. Here, students use a dashboard to track their progress in the different READ 180 zones. This differentiated instruction targets areas of growth for each participant, and other classes are doing similarly. Math classes utilize the Khan Academy program to tailor lessons to meet the needs of individual students, allowing them to work at their own pace. The district also purchased a subscription to NEWSELA, an online article database, allowing all teachers to address the literacy skills mandated by Common Core by selecting articles by grade level, reading standard, topic, lexile level, and word count. Not only did the district take steps to help engage students in their learning within the classroom, but over the past few years it also introduced a college and career exploration software called Naviance, exposing all junior high and high school students to different fields they might pursue. Specific grade-level goals were set for grades 7-12, and the school counselor works with all students at each grade level to complete these tasks, which guide students toward careers and colleges based on their personalities, interests, and academic performance. To determine what practices teachers should have in place in order to promote a greater sense of student agency, the following themes were developed to determine how they might lead to the desired results in the classroom: teacher flexibility with student voice and choice and educational technology. In order for students to take any interest in whether or not they learn, they must first have some chance to play a role in choosing what they learn about and how they do the learning. Their innate curiosity is a key factor in encouraging them to participate. The simple act of teacher acknowledgement and consideration of student input made a huge difference in students’ willingness to engage in the lessons, consequently their own success, in both elementary and junior high school settings. Further study is needed in order to determine whether high school students would see similar success if given the opportunity to explore topics of their own choosing. Although some fear change, the shift toward educational technology may be just what some students need to make school and learning feel new and exhilarating. More research is necessary in order to gauge whether incorporating educational technology will promote active participation, and consequently improved learning outcomes, by students who currently seem disconnected to their learning. In a study conducted by Margaret Vaughn, she examined student agency, defined in her work as “the socioculturally mediated capacity to act,” (2014) in a way that seemed to have been overlooked in other research. Vaughn’s study focused on the teacher’s role in fostering student agency during literacy instruction in a 4th grade classroom and discovered that more often than not, the teacher being studied missed opportunities during her lessons to address student inquiry and use students’ thoughts to allow them to co-create lessons, which is a critical component of student agency. When students feel interested in the subject by being allowed to express curiosity, feeling valued for their contribution, they become engaged in the learning (Hafen, et al 2012). They then take initiative to be in charge of it, and develop dispositions of active learners, something that takes them far beyond simply learning a one-time task. Rather than pause for a moment to allow student interest to guide the conversation, the teacher being observed in Vaughn’s study instead viewed student input and comments during the literacy instruction as merely distractions that took students away from the original learning objectives. Her students’ voices were silenced, and they had no real choice in what or how they learned. Vaughn didn’t fault the teacher for her inability to recognize these opportunities, however. Instead, she suggested that teachers work under constraints of mandated curricula and high-stakes assessments, which confine an educator’s ability to adapt lessons in a more creative and spontaneous way. Also taking a look at student agency in primary grades, Jennifer Keys Adair focused on a first grade teacher who was overwhelmed by the feeling that state and local directives asking for teachers to focus on assessments was narrowing the kinds of learning experiences young children were allowed (2014). Vowing to promote an environment in which students could use their curiosity as motivation and inspiration to invent, plan, design, and problem solve, by allowing her students the time, flexibility, and encouragement, the observed teacher saw the positive impact she had hoped for. A female English-Learner in the class expressed interest in a photo of a volcano, and before long, she and several other female students had begun to talk about, draw, plan, and eventually construct a labeled model of a volcano, even sharing their knowledge with the rest of the class. Due to her teacher’s flexibility in allowing the student voice and choice in selecting her topic, materials, and even time frame within which to work, she fostered a sense of student agency. When the U.S. Department of Education introduced the National Education Technology Plan, its goal was to allow for the creation of engaging, empowering learning experiences that would enable students to become knowledgeable, creative, active, and ethical participants in a global society. In changing the types of educational tools available, the hope was that students would take ownership for their learning by taking advantage of the more flexible, individualized, and differentiated instructional aids made available through online programs and software (2010). Amy Rector-Aranda’s study (2015) combined both educational technology and student voice, examining how they led to improved student agency in the classroom. 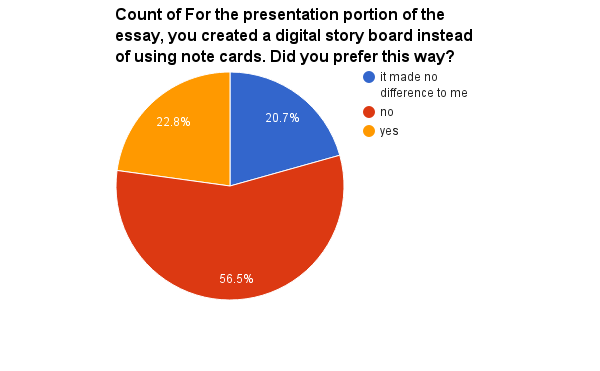 This study took into account not only teacher and researcher observations but student feedback about their own experiences. The study centered around an online simulation program called Jewish Court of All Time (JCAT), wherein students took on roles of historical and literary figures to make rulings in imaginary court cases. As part of the online simulation, middle school students in 7th through 9th grades wrote biographies, gave speeches, and performed tasks assuming the roles of their assigned characters. Results showed that students not only demonstrated an increased sense of agency and voice in the online environment but in their interactions within the regular classroom setting, too. 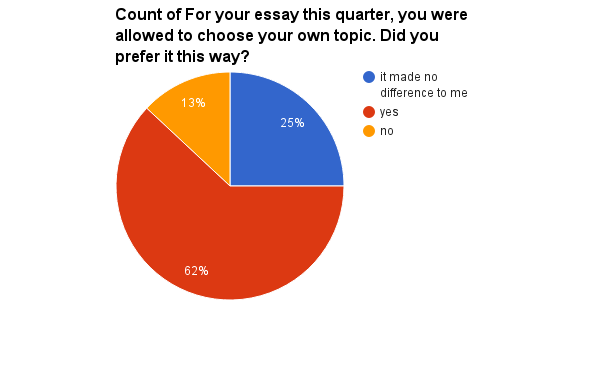 Patterns in student comments showed that many felt like they could “speak their mind” and that “their opinion counted,” which led to increased confidence and participation as the lessons continued. In Yigal Rosen’s study of the impact of one-to-one laptops in classroom environments, findings suggested that when compared with traditional teaching in a typical classroom setting, lessons that utilized educational technology via laptops were more differentiated, led to higher overall test scores in math and reading, and encouraged more individual teacher/student interactions. Additionally, student attendance increased, while reported behavior problems decreased (2012). When students are interested, engaged, and have lessons and activities that are somewhat tailor made to suit their needs, their learning improves, and they become empowered and confident, thus demonstrating more agency over their continued learning.